LINK Mobility Group ASA ("LINK"), one of Europe's leading and fastest growing providers of B2C mobile messaging and mobile services, has today entered into a definitive agreement for the acquisition of the Swiss mobile messaging business ("Horisen Messaging") from the Swiss mobile messaging company Horisen AG. Horisen AG was established in 2001, and is located in Rorschach, Switzerland. Horisen Messaging has a strong position in the Swiss market and is one of the leading mobile messaging providers in Switzerland with a strong footprint delivering services to more than 175 countries globally. "I am really happy to announce that we have acquired Horisen Messaging the leading mobile messaging provider in Switzerland with more than 30% market share and a strong international network. We look forward to become the leading mobile messaging and solutions provider in Switzerland and to continue developing the Swiss market with existing and new services going forward." says Arild E. Hustad, CEO of LINK. "I am very happy that our messaging customers will be in very good hands with LINK Mobility in the future and that HORISEN AG can now focus 100% on its software business. This transaction is a real win-win situation for LINK Mobility and HORISEN AG. 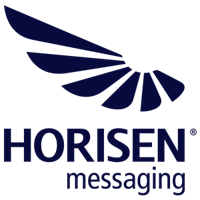 I am also very pleased that LINK Mobility decided to continue using for HORISEN Messaging AG the award-winning messaging platform software of HORISEN AG, to take advantage of its powerful features thus strengthen its competitiveness in the messaging business" says Fabrizio Salanitri, CEO of HORISEN AG. The transaction will be structured as an acquisition by LINK of Horisen Messaging AG, a carve-out from Horisen AG, that upon closing will hold the Horisen Messaging business. The agreed enterprise value of the transaction is EUR 9.0 million, on a cash-free and debt-free basis. The enterprise value is based on a normalized EBITDA for 2017 of EUR 1.8 million multiplied by a factor of 5. The transaction is expected to close on 5 January 2018. Aabø-Evensen & Co Advokatfirma AS and Ernst & Young AG, Switzerland has acted as legal advisors to LINK Mobility Group ASA in connection with the transaction. LINK Mobility Group ASA is one of Europe's leading providers within mobile communications, specialized in mobile messaging services, mobile solutions and mobile data intelligence. The Group offers a wide range of scalable services and solutions across industries and sectors due to the growing demand of digital convergence between businesses and customers, platforms and users. The Group is headquartered in Oslo/Norway and is listed on the Oslo Stock Exchange (ISIN: NO0010219702). LINK Mobility continues to experience strong organic growth with a high degree of recurring revenue as customers tend to move more business activities onto the mobile platforms. In 2016, LINK Mobility had a total turnover of 924 million NOK with offices in Norway, Sweden, Denmark, Finland, Latvia, Estonia, Bulgaria, Germany and Spain.